​Hello and thank you for taking the time to visit my website. 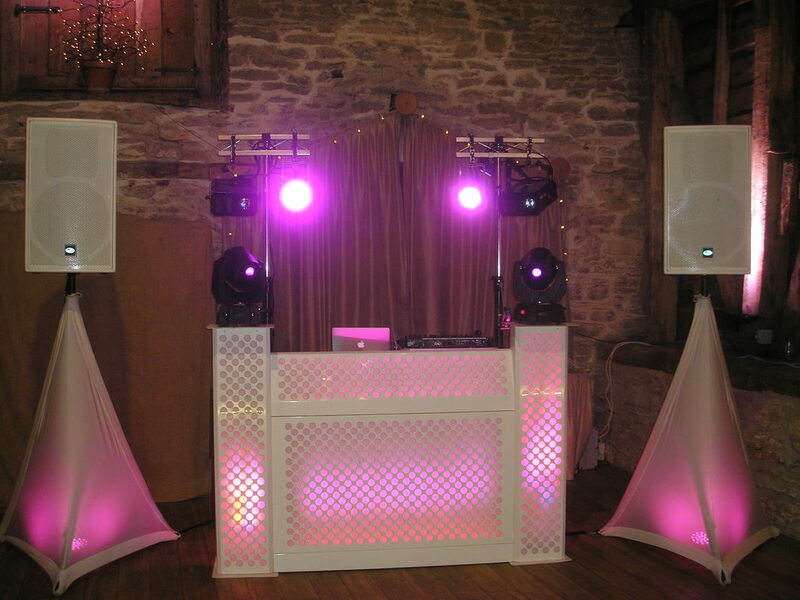 My DJ career began in the early eighties in Surrey, and now having moved to Dorchester I have continued to build on my reputation of providing a friendly and reliable mobile disco. The equipment I use is modern, well maintained and very presentable. I have an extensive music library extending from the 1940’s through to the current Top Ten. ​Playlists in advance are welcome, and I will always try to include suitable requests from your guests on the day. ​With my previously gained experience and an approachable professional attitude I am comfortable performing at Wedding Receptions, Family Parties, Black Tie Dinner Dances and many other occasions. 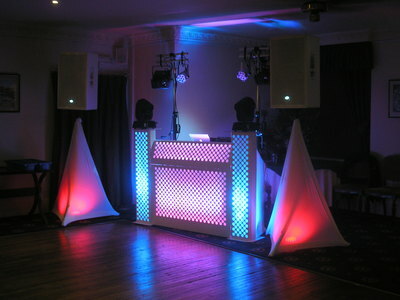 My mobile disco is available to hire throughout Dorset, Somerset, and East Devon. I have played at many venues including Dorchester, Weymouth, Portland, Bridport, Axminister, Wareham, Swanage, Yeovil, Poole, Wimborne, Blandford, Christchurch and all surrounding areas. Whatever your occasion, it is unique. I will do all I can to give you the best service possible, tailored to your needs. Should you wish, meetings to discuss your exact requirements can be held before making a booking, either at your chosen venue or other suitable location. After a booking is confirmed, I keep in close contact to make sure all runs smoothly, meeting with you again if necessary. THE ALMOST WHITE LOOK FOR WEDDINGS. Most traditional discos, my standard disco is no exception, are either fronted by a black curtain or bulky 80’s style light boxes. Especially for wedding receptions I have changed that look and use a translucent white screen, illuminated from behind. This look is extremely neat and tidy and can provide lighting to match most wedding colour schemes. 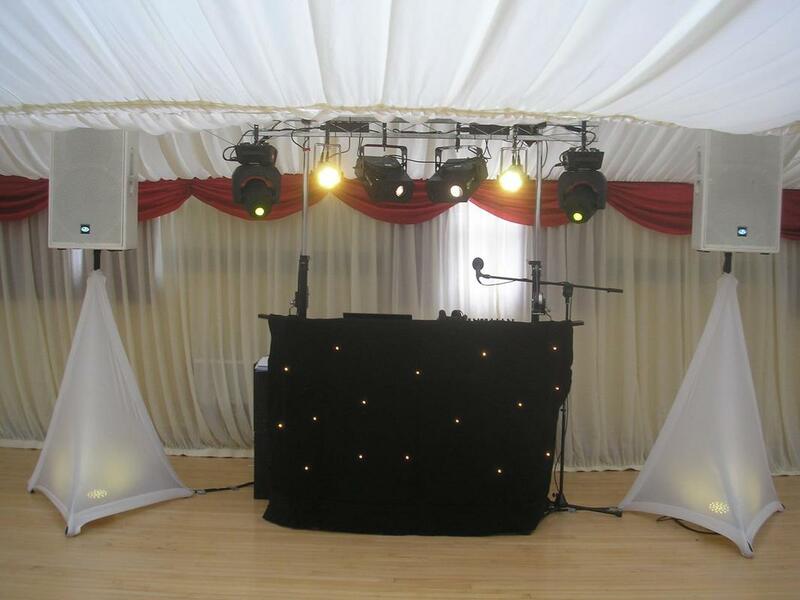 ​Together with colour co-ordinated lighting from spotlights it provides an ideal background for the first dance. Set-up of the “Almost White” wedding package takes approximately 1 to 1 1/2 hours. I would highly recommend that you have an early set-up so as to minimize the disruption caused to your reception by my setting up the disco, and it also means I am all in place and ready to go even if your event is running a little late.